We have just planted four hebes in an effort to replace some of those we lost last winter after months of the big freeze. We experienced night time temperatures of -21 for three nights on the trot. Too cold for hebes by far! 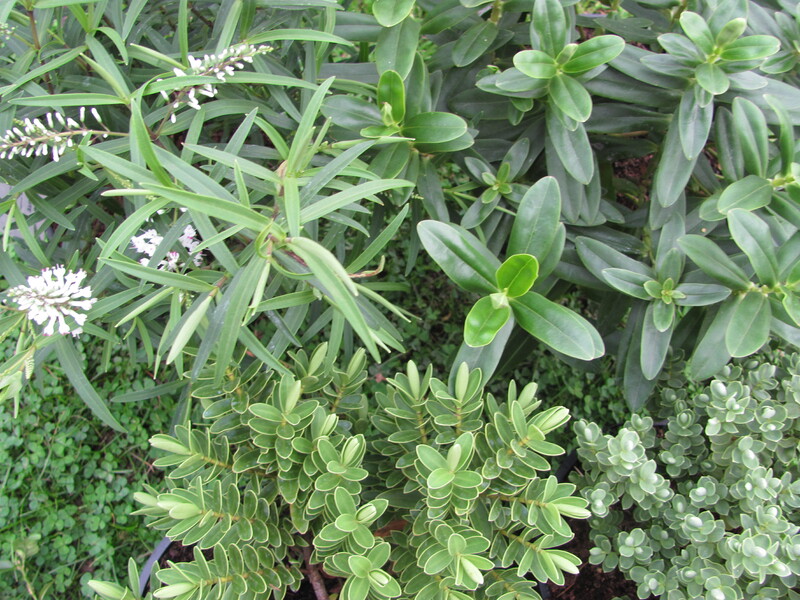 So we bought Hebe “Charming White”, Hebe “Wiri mist”, Hebe pinguifolia Sutherlandii and Hebe”Pastel Elegance”. The leaves of each one differ in colour and shape. Charming White is actually in flower now as we plant it and what a delicately beautiful flower it is, white with a hint of purple at the very tip of each petal. 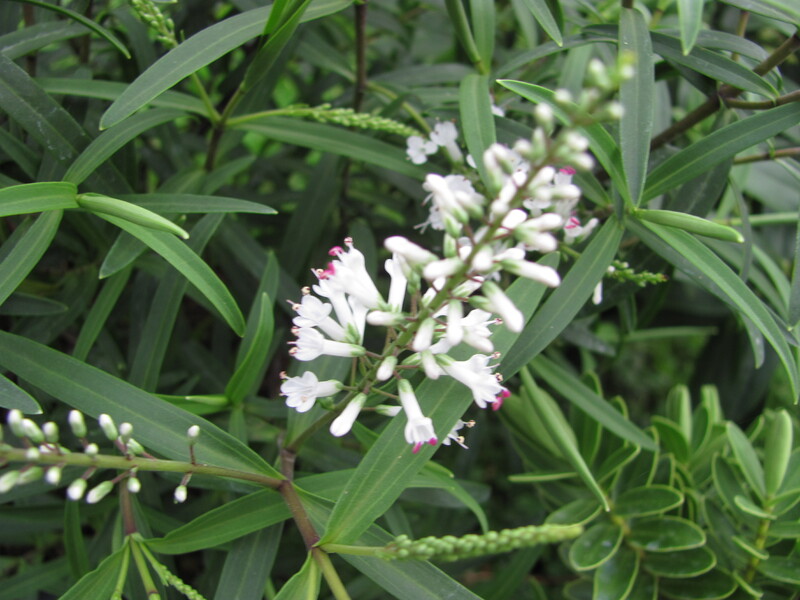 This entry was posted in gardening, shrubs and tagged gardening, hebes, shrubs. Bookmark the permalink.